A continued exploration of my family history and how the past can guide us through turbulent and dangerous times. See Parts I and II here and here. ~ Any organization can become a resistance organization. ~ What’s important is what those in the middle do. ~ Obeying will not make you safer. We’re sipping coffee in a trendy Northern California coffee shop as the old man tells me these things. His older brother (no longer among the living) may have been the one who, as a teenager, risked his life to smuggle out my great-grandparents’ last letter, before they were taken away to be murdered. “Today we have given this letter that you receive to our good acquaintances to be certain that you will receive this after the end of the war…. “ the letter begins. And one of these six teenagers (perhaps the older brother of this old man now talking with me) smuggled my great-grandparents last letter out of a detention center before they were deported to their death. Hans (who can tell me things about my murdered ancestors that perhaps no one else still living can do) has been “hiding in plane sight” less than 8 miles from my home. Actually, he hasn’t been hiding at all. He’s been living an active and meaningful life. One of the things he’s been doing is working with a Center for the Study of Holocaust and Genocide, telling his story – which is how I met him, and then pestered and begged him into sharing several conversations-over-coffee with me. I share the things Hans tells me (with his permission) because they are about so much more than my personal family history. Rather, they have everything to do with the times we live in – and our shared future. Of course nothing repeats itself exactly. Yet, by listening to the stories of the past, we can learn invaluable truths to support and guide us as we move through complex and dangerous times toward an uncertain future. I never thought much about what happened in Holland after my Grandparents, who were Dutch Jews, escaped with their children (my mother and uncle) on the eve of the Nazi’s invasion of their homeland. From my earliest years, I’ve known the story of how they escaped. I’ve written about this earlier, in Lessons from the Holocaust for Our Times, Parts I and II (see links below). It was the generosity of my great-grandparents (the same ones who smuggled out one last letter before their deaths), in taking in a German Jewish orphan that in turn gave my grandparents the opportunity to protect and hide this woman and her family when, as adults, they were smuggled out of Nazi Germany. My grandparents’ act of generosity in giving shelter to this family gave them the understanding that they really needed to get out of Europe, and connections that could help in doing so. From my teen years onward, I’ve read widely about the Holocaust, fascinated by the twin questions of how did it happen and how had people resisted. Almost all of my reading centered on Eastern Europe, which was perhaps the worst place to be a Jew during that time. I had paid little attention to what had happened in countries that were more like the US, countries that had long histories of democracy and inclusion – like Holland, where my mother’s family had lived for several centuries. More than telling me about my family’s past, what could the course of fascism in Holland tell me, and all of us, what to watch out for in the US and more widely– now and in the future. I’m not going to tell Hans’ story. He regularly tells it himself. So I will only share details of his life as it connects with my family’s story – and the wider and deeper story I feel it is so important to tell. Hans was born into a German Jewish family, in the years between World War I and II, as anti-Semitism and Nazism were on the rise in Germany and other parts of Europe. While Hans was a young boy, his family, like so many other German Jews, tried to flee, but found no country other than Holland that would take them. In total, about 25,000 German Jewish refugees found refuge in Holland. Among them was Anne Frank’s family. Her father, Otto Frank, also sought refuge in the US, and Cuba, but was turned down. To understand Hans’ story, and the importance of what he has to share, one needs to know a little about the wider pictures of how the Nazi’s constructed and then gradually tightened a noose around the neck of Jewish people, in preparation for their “final solution” of mass extermination. Soon after the Nazi’s invaded Holland (on May 10, 1940) they began their methodical step-by-step process of isolating and removing Jews from Dutch life, in preparation for gradual deportation to death camps (euphemistically known as “resettlement in the East”). Of course not everyone obeyed. Of course there was resistance. Of course there could have been more resistance. And of course the Nazis continued with their relentless step-by-step plans, regardless of any and all resistance. The entire population of Holland was required to register as Aryan or non-Aryan. All Jews were excluded from civil service. Jewish-owned businesses were required to register. Jewish-owned businesses could only serve other Jews, and not Aryans. Jews could not attend school with non-Jews. Jews were barred from public parks, cafes, restaurants, hotels, theaters, cinemas, beaches, swimming pools, art exhibits, concerts, public libraries, museums, and more. Eventually all Jews had to wear the yellow Star of David on their clothes whenever they left their homes. Restrictions were followed by more restrictions, all designed to separate Jews from the larger Dutch population. Jews (who in Holland had never know themselves to be legally or socially required to live in any specific place) were ordered to live in an area in Amsterdam where historically many Jews had chosen to live. This permitted the Germans to close the area at will, allowing no one to enter or leave, while they conducted their deportation raids. In this way they gradually emptied Amsterdam (and Holland) of Jews. As part of establishing their infrastructure of genocide, the Nazi’s created a Jewish Council (known as Joodse Rand in Holland and Judenrat in other European countries). These “Councils”, whose Jewish leaders were chosen by the Nazis, were responsible for administering Nazi orders to the Jews, including the increasing restrictions and finally the sequential deportation orders and raids. One way to survive, at least for a while, was to find a way to work for the Jewish Council. In this way, a person could receive a coveted “Exemption Stamp” for their identification card, indicating that their work was essential to the work of the Council – and by extension, the Nazi occupation. This “Exemption Stamp” gave a person and their family temporary immunity from deportation. Hans’ mother managed to secure a work position with the Jewish Council for Hans’ older brother – and thus a temporary immunity from deportation for their family. Hans’ brother was assigned to work in the Hollandse Schouwburg, the place where Jews were imprisoned after their “arrest” in raids, to await deportation. There is a bitter irony to the place chosen by the Nazis as a temporary holding cell for people awaiting deportation to their deaths. The Hollandse Schouwburg was once a popular Dutch theatre. Built in 1892, in the heart of the area where most of Amsterdam’s Jews lived, the elegant building was home to an abundance of lively, ornate performances. It was a place of laughter and enchantment – a place of celebration and exploration of the mysteries of the human spirit. This place that was once the largest and most luxurious theater in Amsterdam, home to so much beauty and delight, was transformed into a place of unspeakable suffering and terror. Approximately 60,000 to 80,000 people were deported from this place to death camps – among them were my great-grandparents. I’ve walked the streets where these things happened, stood in front of the building where my great-grandparents lived, where my grandmother was born, half a block left and then half a block right from this historic theater. Today it is a vibrant and beautifully maintained neighborhood (as I imagine it was before the war), a pleasant walk from downtown Amsterdam, across one of the city’s many scenic canals. I’ve spent an afternoon in this theater-turned-death-trap, which today is a museum. I’ve stood before the wall on which are etched the names of many of those who passed through that place – and found my great-grandparents’ names among them. I’ve walked up the narrow stairs to the small room where an exhibit preserves photos and programs from the days when the theater was a place of enchantment and delight. It was in this theatre that my grandmother as a young woman discovered her love for theater and the arts, later becoming a visual artist. And it was in this theater-turned-prison that her parents (my great-grandparents) wrote their last letter before they were deported to their deaths. It was in this theater, converted into a waiting room for death, that Hans’ brother went to work, feeding and counting the prisoners as they waited sometimes for days or weeks, lining them up and counting them again when it was their time to be deported. It was in this theater that Hans’ brothers and five other teenagers began their REAL work, smuggling Jews out of the theater-turned-prison-death-trap, into the waiting hands of the Resistance, who found them places to hide. 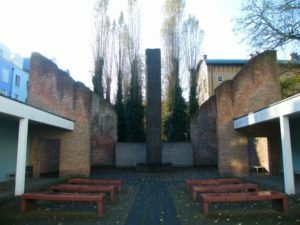 The teenagers were supported in their work by Walter Suskind, a German Jew appointed by the Nazis to manage the theater-turned-deportation-center. While appearing to obey the Nazis, Suskind was deeply involved in coordinating the entire smuggling operation – especially the rescue of children. Across the street from the theater was a kindergarten and day care center. There, the children of families captured in the raids waited, separated from their parents, for their deportation. From this place, over six hundred children were also smuggled out, into the waiting hands of Resistance organizations. (Tragically, Suskind and his family died in Auschwitz). There were other Jews who worked in the theater, who also earned the coveted “Exemption” stamp, temporarily saving themselves and their families from deportation. According to Hans, they would not help in the rescue efforts, but neither would they betray them to their Nazi overseers. Altogether, Hans estimates these six boys saved the lives of one to two thousand Jews. Sometime, along the way, one of them smuggled my great-grandparents’ letter out to be mailed to my grandparents in the US after the war. My great-grandparents’ names were Jacob and Bilha de Jong. They were both 74 years old when they died. The Nazis relentlessly went about their work of Jewish extermination. When there were only about 2,000 Jews still living openly in Holland, Hans’ mother decided it was time for her family to go into hiding (or “dive under” as it was called in Holland). She suggested to Hans’ brother’s supervisor in the Jewish Council, that perhaps it was time for him to take his family into hiding as well. This man told Hans’ mother that going into hiding was too dangerous. He and his family were deported to their deaths, when the Jewish Council was finally liquidated. Hans and his mother and brothers lived. Generally, when people went into hiding, families were separated (for their own safety, and the safety of their hosts, who were risking their families’ lives to hide others). Hans, by this time a young adolescent, went to live with the family of a Dutch Socialist, in a three-story apartment building in Amsterdam. Hans, with his fair skin and blue eyes, often walked around wartime Amsterdam, as a “normal adolescent” would. In that capacity, while in his early teens, he helped the Resistance by delivering forged food coupon booklets and other necessities to families hiding other Jews. Yet no one in that three-story apartment building ever betrayed Hans, and the family sheltering him, to the Nazis. In this way Hans lived the last years of the war, to be reunited with his mother and brothers at the war’s end. The rest of Hans’ story is his to tell. I will only say that what I know of it leads me to believe it was a life well lived. Hans and I met as strangers, whose lives are interconnected in some inexplicable way. We met in the beauty and tranquility of Sonoma County, CA, approximately 75 years after his older brother’s life intersected with that of my great-grandparents in a theater-turned-deportation-center on another continent. Something was telling me to pay close attention to what he had to say. It felt even more significant, and perhaps ominous, that Hans and I met not long before the election of Trump. It was an election that brought numerous scholars and political analysts to use the words “Fascism” and “United States” in the same sentence – something my parents and grandparents never, in their wildest imaginings, expected their descendants to hear. ~ Any kind of organization can become a resistance organization. Having groups and organizations before hand is what is important. It is less important what the organization does before hand. This may be much broader than our conventional ideas of “political” or “activist” or even “social service” organizations. It might be a book circle, a poetry group, a gardening club, etc. The main thing is that people gather together, get to know each other, learn how to work together. ~ The important question is what those in the middle will do. According to Hans, about 3 to 5% of the Dutch people were Nazis and about 3 to 5% were part of the Resistance. The important question was what those in the middle would do. When Hans, as an adolescent, was “hiding in plain sight” with a family in an apartment building, he believed that neighbors suspected he was likely not the family’s “cousin from Rotterdam”. The other families in the building were not risking their lives to hide Jews – but neither did they turn him in. While Hans’ brother and five other teenage boys were smuggling Jews out of the theater-turned-deportation-center, the other Jews working there did not help – but neither did they turn the teenagers in. “To not be a bystander, you had to be a hero”. Hans explains. How this idea that “the important question is what those in the middle will do” might apply to the US today is a topic worthy of deep reflection and consideration. ~ Obeying is not the safest or best thing to do. People may tend to believe that doing what you are told, obeying, is the best way to get through dangerous times, especially when those in power don’t seem empathetic or caring – or are downright brutal. The actual truth seems to be that people who don’t obey are far more likely to get through dangerous times than those who do obey. About 25,000 to 30,000 Jews (among them Hans and his family) went into hiding in Holland. Half to two-thirds of those Jews survived. In comparison, approximately 107,000 Jews from Holland were deported to death camps. Of those deported, only about 5,000 (or less than 5%) survived. Shortly after Trump’s election, Yale History Professor Timothy Snyder (whose focus of study is Central and Eastern Europe and the Holocaust) published a book titled On Tyranny, Twenty Lessons from the Twentieth Century. The first lesson is Do Not Obey in Advance. Sometimes footprints from the past can point the way forward through a perilous and uncertain future. Today we have given this letter that you receive to our good acquaintances to be certain that you will receive this after the end of the war. I would not have enough paper even to begin describing our sad circumstances. What keeps me going is only that we think of you even more than before. In our old age we shall be taken from our dear home to go first to Westerbork and on transport to northern Silezia (Poland). As I write these lines I shed bitter tears. I want to be strong, but in the end I don’t have it in me. Imagine, with a bread satchel on our chest with essentials, on the train, during the night, during the worst season, to travel 3 or 4 days. At this time 70,000 Jews have been taken away. Now I want to tell you that I am totally convinced that after my death you will be with me. I believe in a hereafter. This way I shall be with you in time. I go with your portraits on my heart. These they shall not take away from me. You are all with us. I don’t want to tell everything, only that we suffer. That should be enough. Today we shall be sent to Westerbork to travel from there for about 4 days through Germany to Poland. Our backpacks and bread satchels are ready. It is very difficult for me to write about this in detail, there is still so much to say. But I can not further, I can not see because of my tears. Our thinking of you calms me. The reason for having written this letter is, that if all fails, you still will hear from me. Now I stop, say goodbye to you all. You understand how difficult it is for me. I hope that your dear mother and Annie will survive during their exile and misery. Concerning myself, I am not hopeful. Now dear all, the courageous good acquaintances, or friends I may say, I have asked after the war to send you this letter if we are not here anymore. And now all, a happy life, and our last greeting from Pa, Moe and Annie. Your portraits are with us. On rare and precious occasions voices of the ancestors call out to the future in strange and unusual ways. How can we learn to listen? And what can we learn from what we hear? I publish this article with a broken heart, overflowing with grief over the actions and policies of the state of Israel in regards to the Palestinian people (and many other issues). I have long been one of a large and growing number of Jewish people who feel that these policies and actions do not reflect the teachings, traditions and true meaning of Judaism. 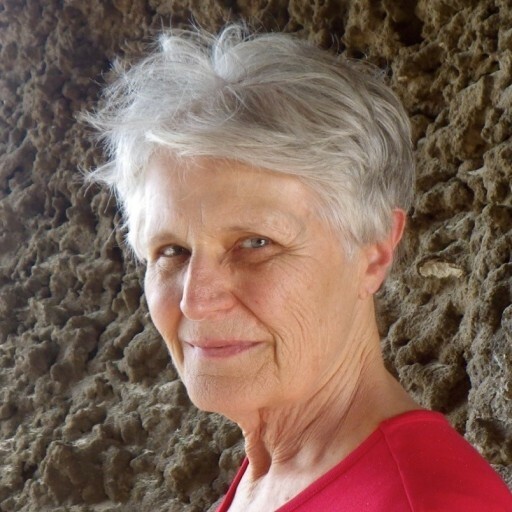 Dianne Monroe is a Life Mentor, Experiential Educator, writer and photographer, living in Santa Rosa, CA. 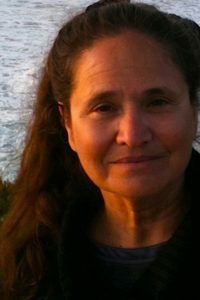 She offers programs and personal mentoring using a blend of arts, creativity and nature connection practices to support people in finding soul path and purpose, knowing their deepest life story for this world, navigating times of transition and more. Visit her website (www.diannemonroe.come), email her (Dianne@diannemonroe.com) or read more of her articles (http://www.diannemonroe.com/articlesinterviews).